In the summer of 2018, Project Horseshoe Farm partnered with the University of Alabama Honors College, Renaissance Marion, and other community organizations to launch our first satellite initiative away from our home base of Greensboro, Alabama. 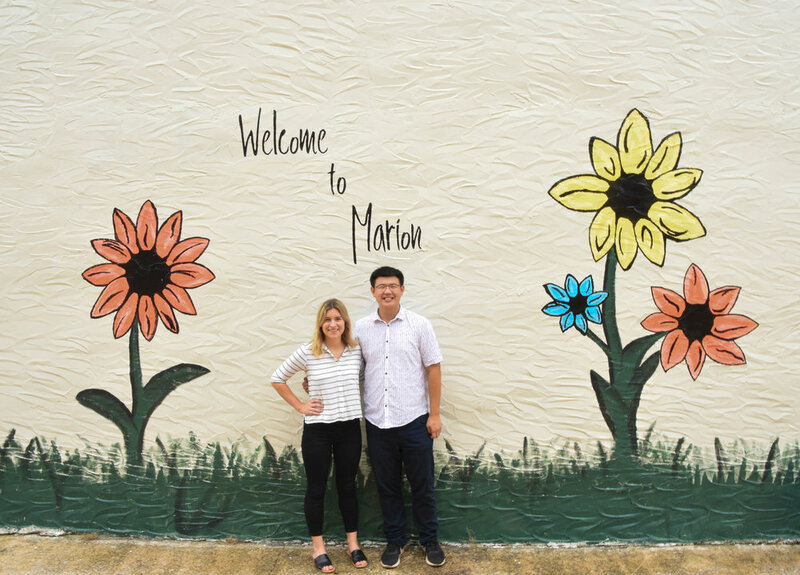 We are grateful that the Marion, Alabama community embraced and welcomed our involvement. Marion is a historically and culturally rich town located an easy 20 mile drive from Greensboro. We sent two of our second year Horseshoe Farm Fellows to live and work with the community to launch the initiative. The initiative is a test of whether Horseshoe Farm's successful ongoing work with the Greensboro community can be translated to other communities. The initiative aims to contribute to and build upon the existing strengths of the Marion community. Horseshoe Farm Fellows work with the Marion Nutrition Center to help strengthen and build on their existing nutrition, health, social, and activities programs for seniors and other adults. Horseshoe Farm Fellows partner with Francis Marion School to provide extra in-class support to 3rd grade students. Under the guidance of a lead teacher, the program allows Fellows and the teacher to provide additional attention to students in small learning groups. The hope is to be able to cater to individual learning needs and styles of each student and to eventually be able to scale the project to other grades. Horseshoe Farm Fellows work with a local Marion primary care physician and his clinic, with Marion nursing homes, with Marion Churches, and with other community members to identify and support patients who can benefit from home visits, transportation, a delivered home-cooked meal, help navigating the healthcare or social services systems, or other support as needed. The goal is to help vulnerable adults in the community stay independent, improve their quality of life, and pursue their health goals. As part of their engagement with the community, Horseshoe Farm Fellows devote part of each week working with and learning about other civic, business, non-profit, religious, and government organizations throughout the community. For questions regarding the Marion Fellowship, please contact us at marionfellows@projecthsf.org.